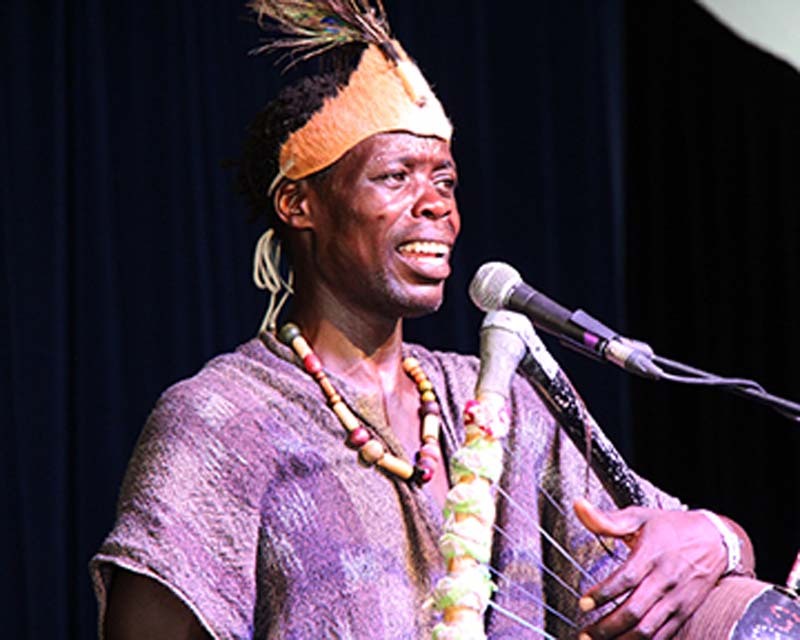 From the Luo tribes of Kenya to those related to the Nubian tribes along the River Nile all the way to Egypt, Samoko’s music sings the stories of the Nile Valley, telling the life wisdoms of cultural villages. Scientific research is now equating these ways of living to a healthy lifestyle. Playing the 32-string Colombian Llanera harp’s unique Spanish/Amerindian musica criolla and African ancestral cumbia/salsa music is harp virtuoso Sandra Real, followed by Sam Okoth and the ceremonial Nile River nyatiti lyre-harp – considered sacred with magical powers. Experience ancestral Luo and Nubian tribal family knowledge, where dance and the music of the Nyatiti harp and the Ohangla drums sing the stories and tribal wisdom of Kenya and the Nile Valley. Explore (in a nutshell) the inner knowledge of ancestral African harmonies and their place within ceremony and ritual. Learn how harmonic structure can change the ceremonial value of chant or song. Intoxicating, hypnotic ancestral African music, stories and songs are followed by the inherited traditions of English Morris dancers. This ritual and ceremony was once a bridge to the ancestors, summoners of spirits and banishers of adversity. Ohangla style Luo tribal drumming and dance is fast paced. It is a celebratory dance - part of the trance genre performed during marriages and funerals. Sam and family teach Ohangla rhythms and dances. This dance embodies the medicine family dance traditions of the Luo people of Lake Victoria, Kenya. With the drum, the dance movements dramatise the activities of a healing process used for cultural nurture and social wellbeing.